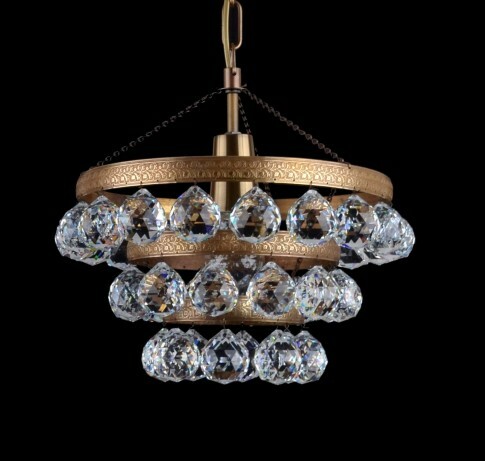 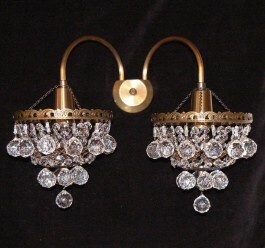 The smaller crystal chandelier suitable for a smaller bedroom, to the apartment or hotel corridor and the like. 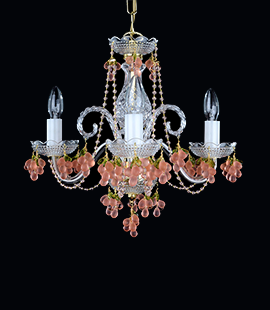 The chandelier is made up of stained quality brass parts reminiscent of bronze. 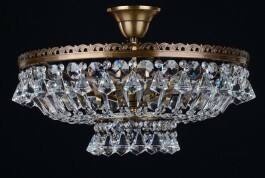 The decorative basket crystal chandelier. 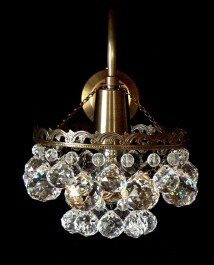 Antique metal finish - stained brass. 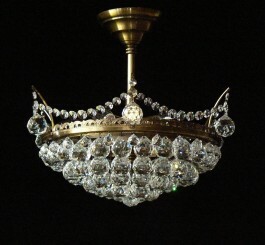 1 large bulb E27, 40/60 Watts. 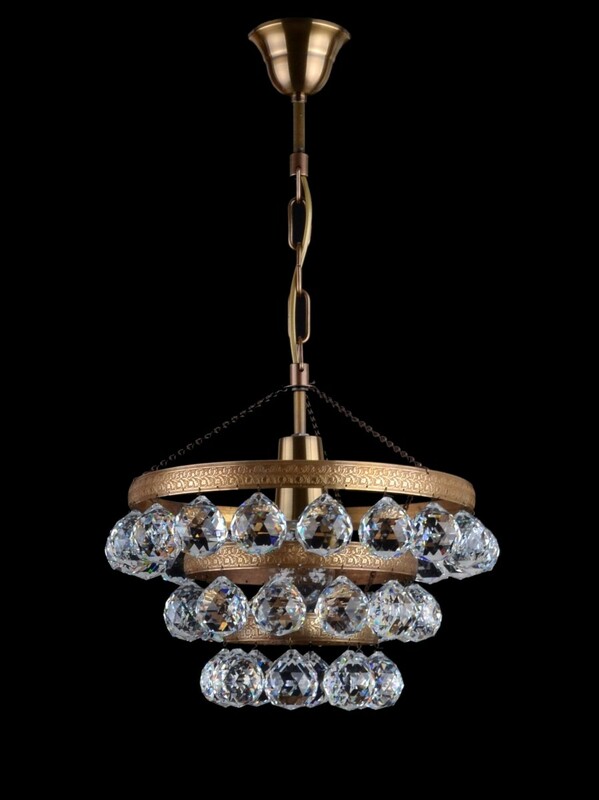 Dimensions (W x H): 32 x 31 cm/ 13.1" x 12.7"
The chandelier comes with the brass chain and ceiling rose. 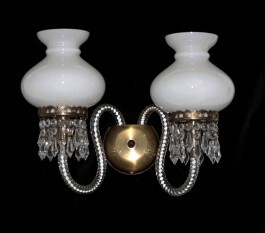 You can order metal finish: Antik, Silver (nickel coated brass), or pure gold Brass.